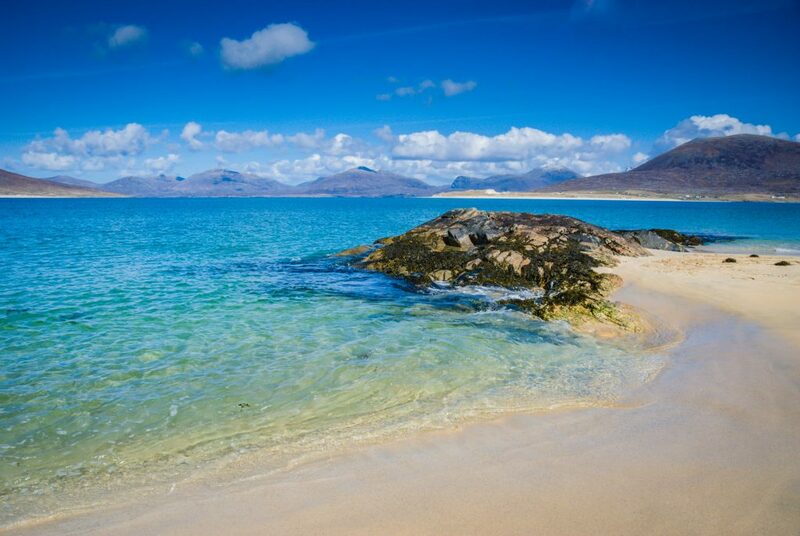 The islands of the Scottish Outer Hebrides play host to a huge range of things to do. 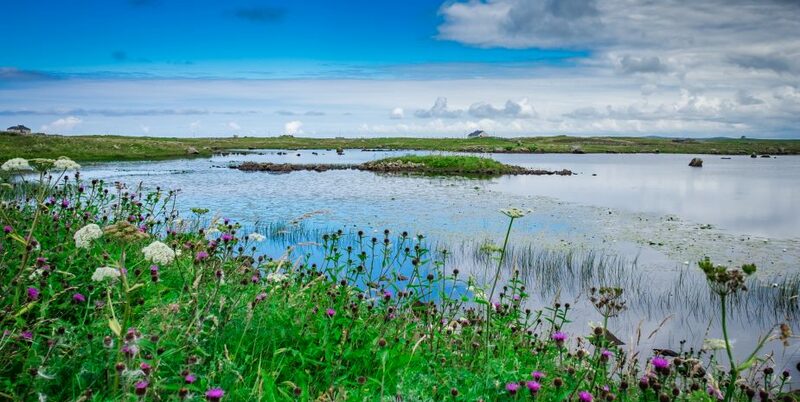 You can pick a boat trip to the dual World Heritage site of the St. Kilda archipelago; a day out sea kayaking; go climb a mountain; ride a bike the length of the islands; play golf or tennis; go horseriding; learn to surf or even ride a Segway! The high point of any visit to the Outer Hebrides and an excursion you’ll remember for the rest of your life, on a trip to St Kilda you’ll experience one of the most isolated places in Europe. The resident population of 36 chose to leave the island of Hirta in 1930, when they became aware that they could no longer support themselves. Now, the island has no permanent residents; a small number of volunteers stay on Hirta to carry out conservation work and a few staff are based at the small radar establishment. 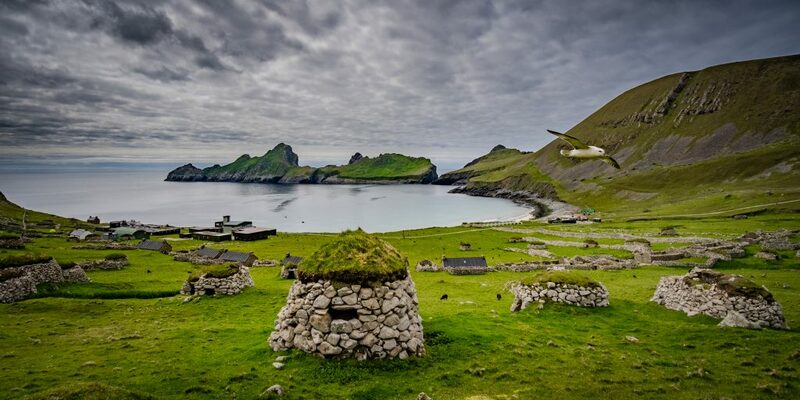 Wildlife flourishes here, the St Kildan Mouse and the St Kildan wren are unique to the archipelogo, while there are so many gannets that this is Europe’s largest colony. As you sail into the area, the gannets flying over the cliffs could realistically be called a swarm. Other sea birds are resident or migrate to the islands here, including the Puffin. Descendants of Soay sheep that remained after evacuation still inhabit the area. St Kilda holds dual UNESCO World Heritage site awards for cultural and natural qualities and a trip here will be one of the highlights of your Scottish adventure. Please visit the tour providers websites to compare prices and make a booking. Shell-sand beaches, some extensive, line much of the western coast and are reckoned to provide the most consistent surfing in Europe. Surfing instruction is available. Sea kayaking is a popular way to explore the many small inlets of island coasts. 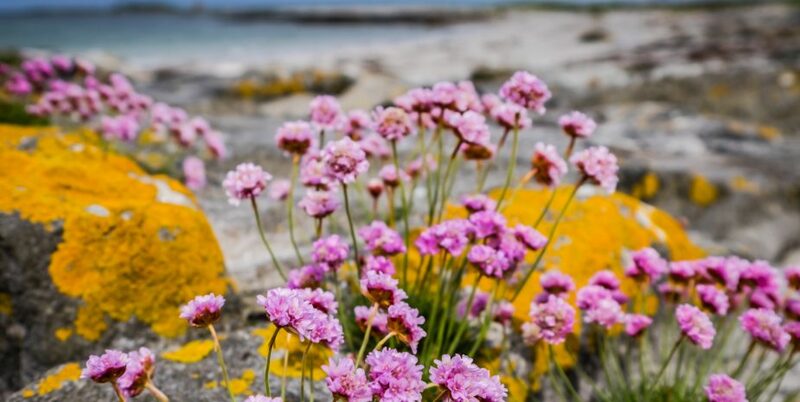 Barra, in particular, is known as a centre for kayaking, as Clearwater Paddling have been providing kayaks, instruction and other things to do for a number of years – a smooth day or evening trip. Whitewave, Skye’s Outdoor Centre offers half-day sessions for all ages and abilities in: kayaking, canoeing, climbing and abseiling, mountain boarding, hill walking, crating and archery. Sessions are led by appropriately qualified and certified staff having safety as our highest priority. Around 45 minutes cruising time from Tarbert, Harris, the Shiants are a haven for breeding Puffins in the summer, also Razorbills, Guillemots, Fulmars, Kittiwakes, Shags, Gulls and Great Skuas. It’s a much shorter trip than St Kilda, but you still get the feeling of isolation (perhaps more so as the Shiants are uninhabited other than an occasional visitor or two to the basic house on one of the islands). The quietness of the islands is astounding – on a bicycle you can appreciate nature, because your almost silent approach may not disturb wildlife. 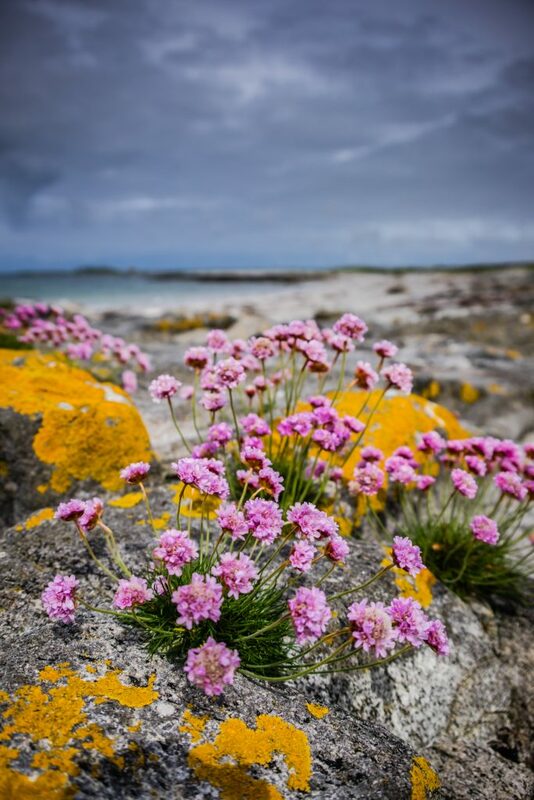 We offer fantastic biking holidays through the Outer Hebrides where you’re welcome to bring your own cycles or enjoy the convenience of one of ours – pick it up at one end of your island hopping ride and leave it at the other – see the Freedom of the Isles holiday for more information. 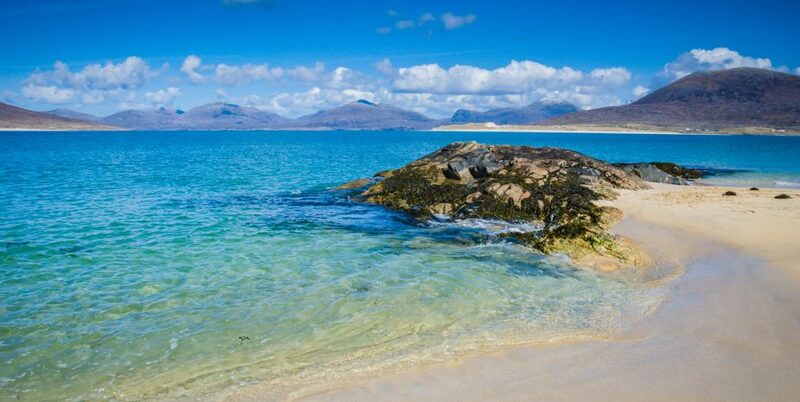 Wherever you are in the Outer Hebrides, you’re never more than a few minutes drive from a lovely walk. 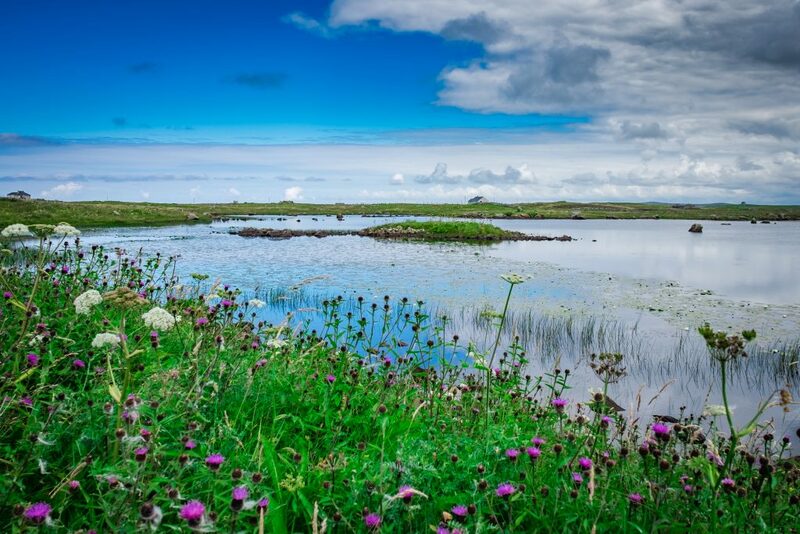 Land law in Scotland provides the right to access almost all open property, such as sea shores, fields, moorland and mountains. Of course, in areas where shooting or other hazardous activity may take place, you need to take sensible precautions. Beaches are perfect for a short walk and the west coast is almost full of them (a few on the east coast, too) – no parking charges, very few other visitors to share the sand with. On a day with a westerly wind, the Atlantic Ocean pounding on a beach makes for a dramatic walk. While mountains abound on Skye, just a few genuine mountains (height over 2000 feet) exist in the Outer Hebrides – these being in Harris. There are many hills that have mountainous characteristics, such as Eaval and Beinn Mhor in the Uists, Heaval in Barra and Beinn Bragar in Lewis – all enjoyable hill-walking locations. Guided walks are organised by RSPB and other similar things to do may be found by internet search. A Tom Morris course, restored to it’s original state. The UK’s most westerly course with 9 holes on a hill side overlooking the Atlantic. A flatland course laid out by servicemen in their spare time – with fearsome obstacles. A links course with views of world-class beaches. A parkland course built alongside a Scottish castle. At green fees from as little as £10! Read more about them on our dedicated golf page. A unique way to explore historical parkland. 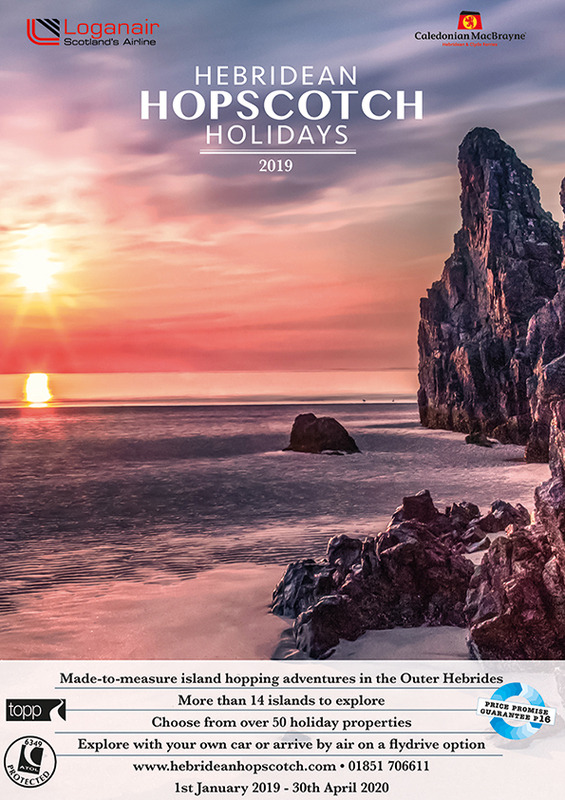 There are plenty of unusual things to do that you can find by checking out the internet or our island pages and Segway is a great illustration of the way Hebrideans have sought to bring original activities to visitors. Segways are basically a platform suspended over two motorised wheels, with a vertical column surmounted by handlebars that you use to balance and steer. Great for travel over uneven ground, you can explore the grounds of Lews Castle, together with a guide to help you get the hang of the machine – it’s easier than it looks! Possibly the UK’s most unusual tennis court. Certainly this must be the most remote court in Britain (please tell us if we’re wrong). Overlooking the Atlantic ocean on the road to Husinish, North Harris, the court at Bunabhainneadar (pronounced bun-ah-van-etter) has an excellent artificial grass surface and a cosy wooden pavilion (in case it rains!). You can rent the court for £16 up to 1½ hours; £20 for two hours (unlimited player numbers). If you need a lesson Mike Briggs is a LTA qualified coach. There are so many things to do, it’s impossible for us to list them all. If you have a particular interest, please speak to one of our holiday advisors to find out more.